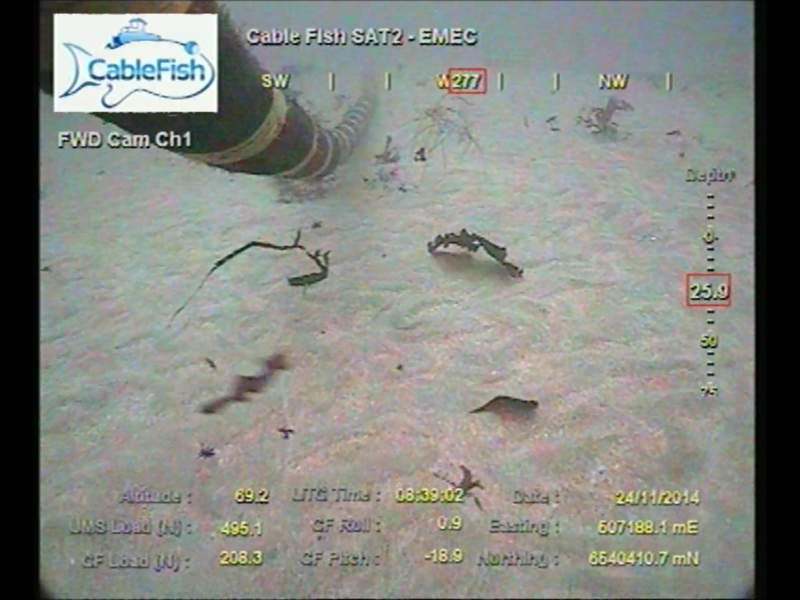 CableFish® is a low cost, low risk solution for monitoring submarine cable installation. The system is designed to operate in up to 6 knots of tidal flow. In these conditions cable installation is notoriously difficult and ROVs are rendered ineffective. 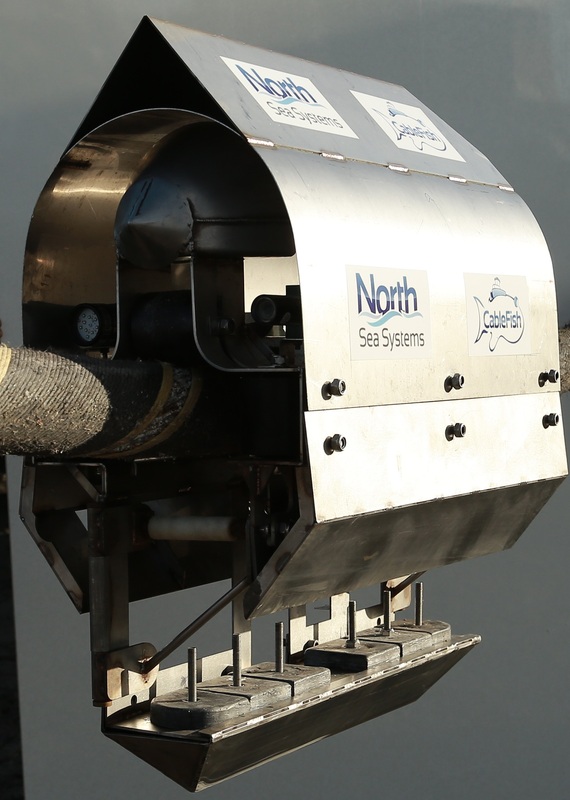 CableFish® uses instruments mounted on a cable mounted carriage and a fibre optic umbilical to provide video and GPS coordinates of the cable touch down point in real time. The system can be readily adapted to operate from most cable installation vessels. It can also be easily modified to accommodate a wide range of sensors. 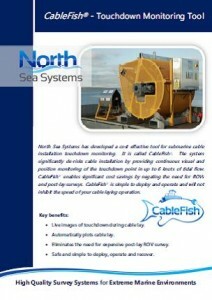 Call us to discuss how CableFish® can be used to support your submarine cable installation operations. Live images during cable lay. Motion sensor detecting vibration in cable. 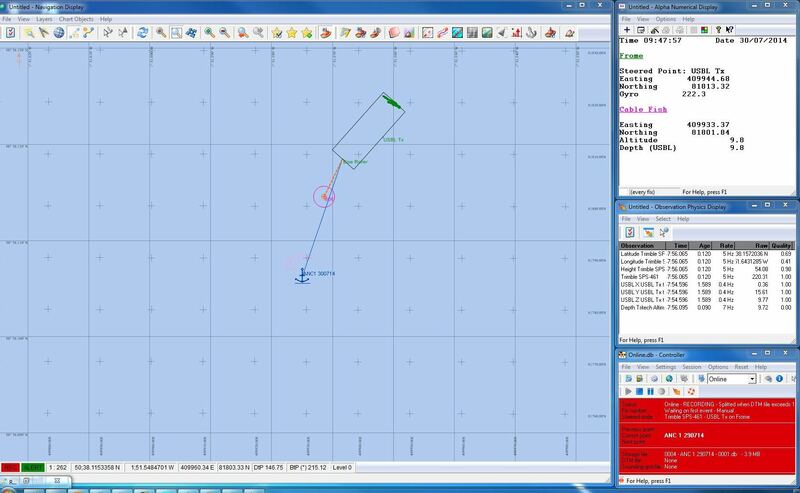 Chart plotted location reference of touchdown point. Eliminates the need for an expensive post-lay ROV survey. Adjustable for a range of cable diameters. Operable from multiple vessel types. Three cameras (two facing forward, one facing aft). 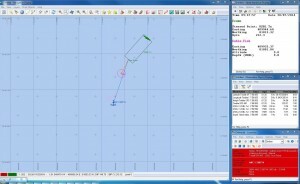 USBL beacon provides accurate subsea positioning.